Potassium is one of the many minerals that the body requires to support key processes in daily life. The human body needs at least 100 mg of potassium every day. A high intake of the mineral reduces the risk of overall mortality, decreases the risk of stroke, lowers blood pressure, protects against loss of muscle mass, preserves bone mineral density, and reduces the formation of kidney stones. The main functions of potassium in the body include regulating fluid balance and controlling the electrical activity of the heart and other muscles. Adults should be consuming 4,700 mg of potassium a day, however, most people don’t consume enough. Getting potassium is as easy as eating a meal. Try adding some foods with high potassium into your next meal like beets, white beans, soy beans, and lima beans. Potassium is also available in supplements. Not getting enough potassium can lead to potassium deficiency (also known as Hypokalemia). Potassium deficiency can have major effects on your body and interferes with your daily life. The effects of potassium deficiency are fatigue, weakness, and constipation, but can escalate to paralysis, respiratory failure, and painful gut obstructions. 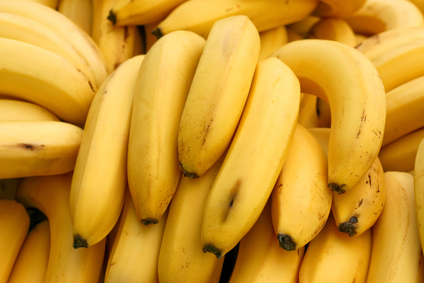 Having too much potassium in the blood can also be bad and impact your health. This is called Hyperkalemia and can lead to the kidneys not being able to remove enough potassium from the body. This can be dangerous if the condition escalates quickly. Potassium levels between 5.1 and 6.0 mmol/L are considered high and should be monitored and managed. Anything higher than 6.0 mmol/L are dangerous. Hyperkalemia shows little to no symptoms, however, if symptoms do present, they are usually similar to those of Hypokalemia. Severe or sudden Hyperkalemia can cause heart palpitations, shortness of breath, and chest pain. Hyperkalemia can become a life-threatening condition that requires immediate medical attention. Try to maintain a healthy amount of potassium in your body on a daily basis. Watching what you eat and reading the labels of foods to know the potassium content is a good way to monitor how much of the mineral you are getting. Potassium is vital to healthy bodily function, but make sure you don’t rely on it on its own to keep yourself healthy. Overall eating patterns and dietary balance are most important in boosting health and lowering your risk for diseases.